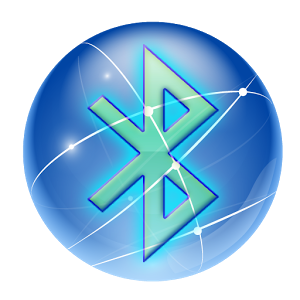 Bluetooth is a form of wireless technology standard for transfering or exchanging of data over short distances from fixed and mobile devices, and also for building personal area networks (PANs). Bluetooth is of great use in our personal computer, it plays a very vital role in our computer. Below are some few things you can use bluetooth for. 1. You can use bluetooth to exchange files or datas from one a device to another. 2. Bluetooth can also serve as a wireless connection used for building personal area network. 4. Bluetooth can also be used in tethering a computer to any bluetooth enabled smartphone, and many other useful purposes. Months back, I published a thread for solving any computer related issues, and the thread is still live till date. Recently, I had a complain from one of my faithful reader. His grumble is about how his personal computer couldn't drive his bluetooth (Bluetooth not working), that is, it wasn't functioning except that he went for an external bluetooth device (Bluetooth hard-drive) to perform any bluetooth supported activity on his computer. At the end of the day, we got the issue resolved. Today's stroll, I would brief you guys on how to fix Bluetooth not Working Problem in Windows 8 or 7, just take a deep breath, and relax, then you would be able to move along in this brief tutorial. Tip 1: At first, make sure that your bluetooth driver is up-to-date, or you update it, so it would help re-touch the bluetooth issue, as the case may be. Tip 2: If that the first issue is resolved and the bluetooth is still not functioning, then check out all these things (Bluetooth, Bluetooth Device Monitor, Bluetooth OBEX Service ,and the Bluetooth Support Services) if they're still running properly or not, because they're are also in control of the bluetooth working accuracy. First click on Win + R button, then a run dialog box would open, now input "services.msc" to open the service manager. Once the service manager is opened, simply check if they're all running properly, you would notice two options as stop the service and also another one as restart the service, just as illustrated in the image below. 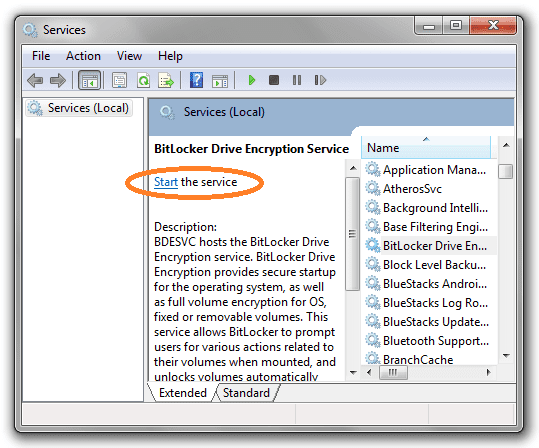 If the service aren't running, then only one option would be displayed, which is, start the service, then click on the option and the service would start running instantly. 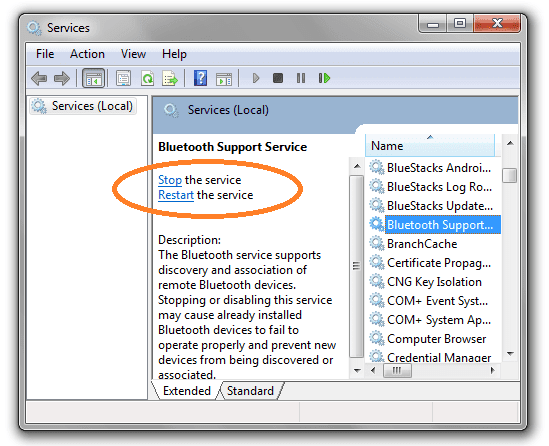 This second tip may also help to resolve your system bluetooth issue. - Bluetooth device not working, that is, even after restarting your computer, the support service is not started. - Bluetooth search operation for other bluetooth devices not completed, that is, no response durning the search. Then in this circumstance, you would need to go in for Fix308817. What I mean is that, you would need to visit Microsoft Support KB980396. Hope you'd find this brief tutorial helpful. Be social and share this useful tips to your friends on social networks. The share links above would be of help. I would also advice you to join our daily email readers to get updated. To join simply Click Here, and also Like our fb page here to get updated with any latest computer tips.